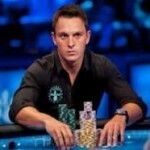 It is the time for Brazilian player to do well at world poker series. The two back to back championship titles of the prestigious 2016 SCOOP tournament hosted by PokerStars belongs to two Brazilian Poker Player. The first player who won the championship title for event No 4 was Nelepo10 and now it was Rafael “GM_VALTER” Moraes, who has won the Event#4h Title for $301,625. The event was at $2,100 buy in No Limit Hold’em championship and attracted 887 players from the world. 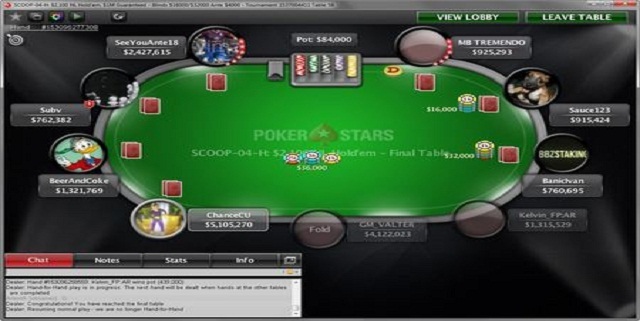 The entries generated a cool prize pool of amount $1,774,000, which distributed to top 99 players/finishers. The last five players of the event included two Brazilian poker stars, which definitely is a great sign of success for Brazilian poker players in top level poker festivals. Seat#1, seat#2 and seat#3 were for players named as MB TREMENDO(929,293), Ben “Sauce123” Sulsky (935,424) and Ivan “BanicIvan” Banic (796,695), whereas the seat#4,seat#5 and seat#6 were for Kelvin_FP:AR (1,319,529), Rafael “GM_VALTER” Moraes (4,126,023), and Chance “ChanceCU” Kornuth (5,109,270). Meanwhile the seat#7,seat#8 and seat#9 were available/allotted to players names as BeerAndCoke (1,325,769), Subv (766,382) and SeeYouAnte18 (2,431,615). Croation Ivan “BanicIvan” Banic got eliminated to ninth position for $23,062. Canadian Subv made $39,028 from the tournament and got busted to eighth position. Then goes SeeYouAnte18 of UK’s. He hit the rail to seventh place for an amount take home $56,768, Canadian Ben “Sauce123” Sulsky was at sixth place at the event and got $74,508 as total winning share. Uruguayan MB TREMENDO played a few good hands but was not able to move ahead to fifth place. He caught behind and took home $92,248, being fifth. Just after his removal from the final table a Sdedish player BeerAndCoke took the exit gate for a total wining share) $132,163. Last and three handed game included Chance “ChanceCU” Kornuth of Mexico, who completed his laying skills at third position with total winning share ) $175,626. Kelvin_FP:AR of Brazil and Rafael “GM_VALTER” Moraes. It means the heads up round of the $2,100 No Limit Hold’em game was in between two Brazilian Poker Players such as Rafael “GM_VALTER” Moraes (Brazil) who was able to win the championship title for $301,625 and Kelvin_FP:AR of Brazil,satisfied with second position for total $256,297.